Ever Think About Updating Your Back Door Entryway? 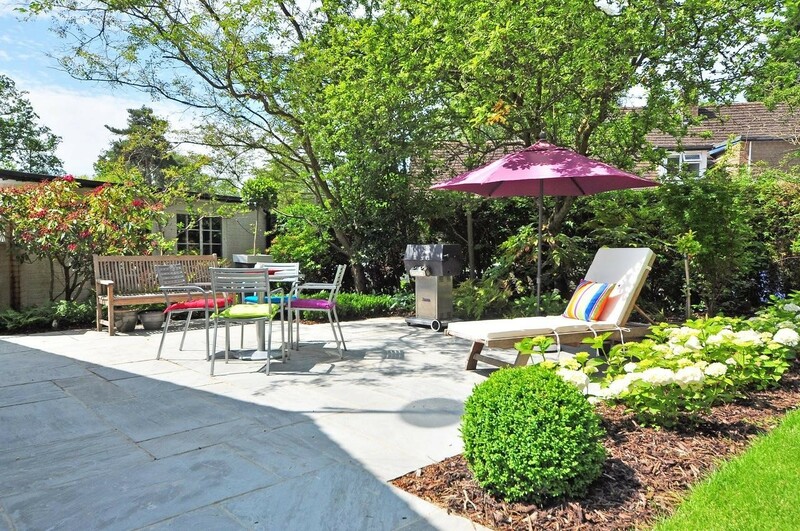 If you haven’t noticed lately, stylish backyard living spaces have become pretty popular. Instead of paying for expensive vacations, people are investing in their own private getaway right at home that they can enjoy year-around. While these living areas may feature fire pits, stone pathways, and outdoor seating areas, the door to the backyard sets the tone. There are many options to choose from that can open up your living space and create a nice atmosphere for your patio. Let’s take a closer look at the purpose of the back door and the types and materials you can choose from when selecting a door. When thinking about upgrading, it’s important to consider what purpose your back door serves. Yes, it’s an entrance and exit into your home but it is also a part of your living area, a pathway to your backyard or patio, and an access way to your home that needs to be secure. With all of these things in mind, you want a door that is complementary to your home, enjoyable to look at, secure, and functional. Many doors in older homes simply focused on security and functionality. Now, there are gorgeous back doors that take it a step further. They make your indoor space feel bigger and look attractive from the outside. What kind of doors can you choose from? One of the most popular door types today are sliding glass doors. These allow natural light into a room while letting you showcase a particular view you have in your backyard. You could opt for traditional sliding doors which have two panels, where one remains fixed and the other slides by in to open. Or, another option is the French sliding doors where there are four panels with the outer two being fixed, while the inner two slide open. Sliding glass doors are beautiful, but you may be wondering if they are secure and energy efficient. To address these issues, they come with options such glazing which reduces noise as well as reflecting UV rays, and safety bars to keep the doors from opening from the outside when you are away. Beyond sliding doors, you may opt for swinging glass doors. These open on a hinge like a typical door but have huge glass panes for the door panels. Again, this allows for a view of the outdoors while letting light in. You can opt for French doors too where two doors are hinged on the side so the panels meet in the middle when closed. If you like glass doors but don’t want them to swing or slide, a third option is for them to fold. Yes, just like an accordion, the doors have panels which fold up. This is a great space saver. When it comes to materials, most patio doors are constructed from wood or fiberglass. Fiber glass offers a beautiful and stylish look with little maintenance. However, some people enjoy a door made from real wood and choose from popular types such as mahogany, oak and knotty alder. If you aren’t sure which door type will best suit your back entry way best, shopping around will be sure to help give you inspiration. At Doors of Elegance, we have a wide range of doors you can browse through. Be sure to check out our entire collection of patio doors. We’ll be happy to help you find the perfect one to connect your indoor and outdoor living areas- contact us today to get started!